Receive personal assistance in emergency situations instead of anonymous support forms that might not get a reply. Emsisoft is a premium software vendor and oﬀers a malware removal guarantee. Emsisoft doesn’t trade customer security for convenience. That’s why Emsisoft Anti-Malware was designed according to maximum security guidelines. Treating customers in an honest and respectful manner is the foundation of sustainable business. Emsisoft doesn’t share your data and doesn’t betray customers for a quick proﬁt. It’s a place where home and business computer security is engineered to perfection. It means software that eﬀectively detects new threats before your computer is compromised. It proves innovative Anti-Malware that is eﬃcient, powerful, unobtrusive and minimalistic. It does its job perfectly – keeping your digital world safe – and leaves the computer’s power where it belongs: with you. Treating customers in an honest and respectful manner is the foundation of sustainable business. Emsisoft doesn’t share your data and doesn’t betray customers for a quick proﬁt made through nasty toolbar bundles or governmental interests. 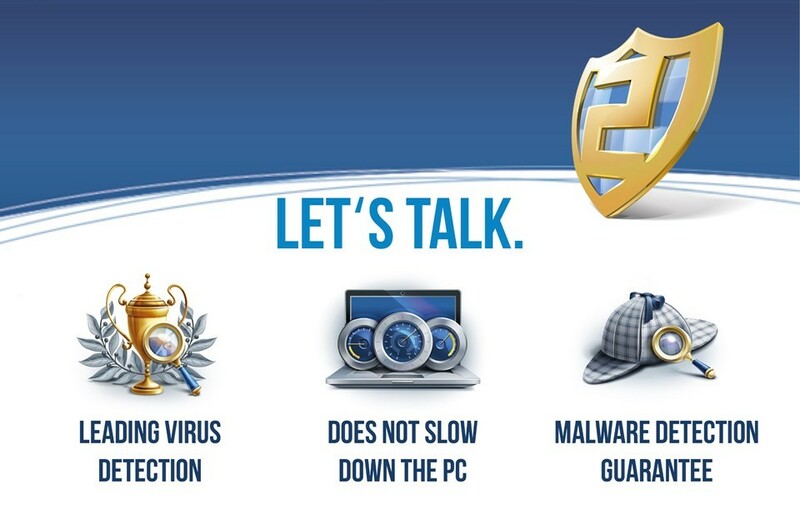 Emsisoft simply oﬀers eﬃcient AntiMalware, for your computer and you. 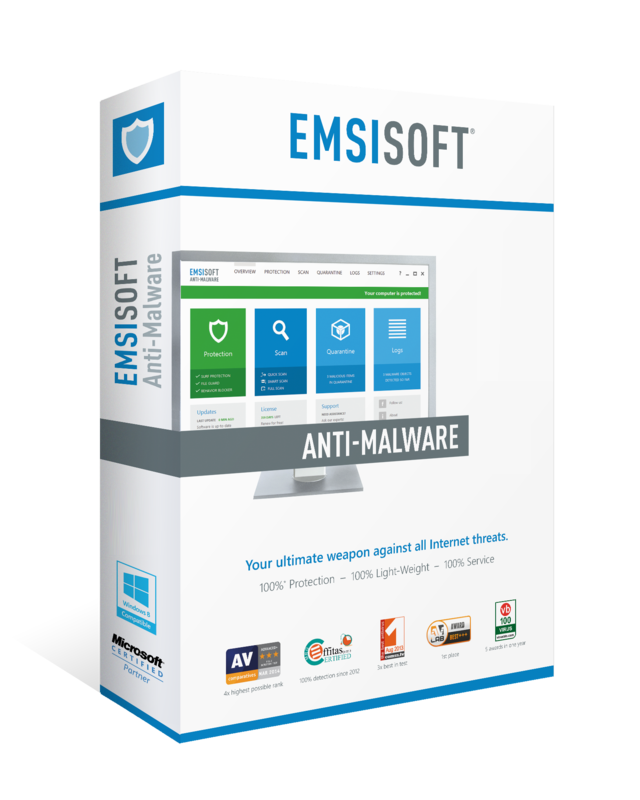 Emsisoft Anti-Malware is a proactive weapon, made to prevent infection from all Internet threats. It protects you from worst case scenarios, like data- or money-loss and identity theft.